During the financial results of CD Projekt Red, they shared their earnings for the last fiscal year of 2018. They also went on to talk about the upcoming E3 2019 which takes place in June in Los Angeles. 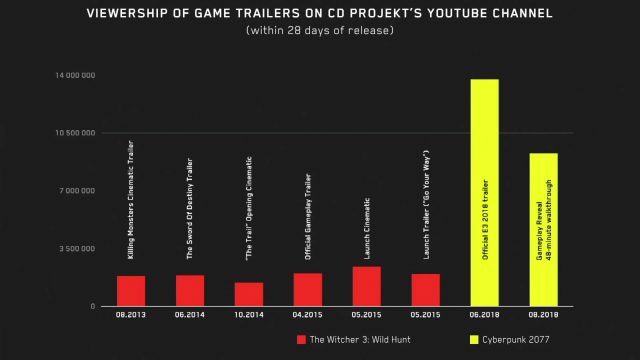 The conference also expressed just how well the Cyberpunk 2077 trailer was received by the public as they compared the previous The Witcher 3 trailer release. It just goes to show how the developer has grown in terms of their fan base, all positive news for their future titles. They also reported about their card based game GWENT which will be releasing its first major expansion for the game called Crimson Curse, which releases tomorrow. They also outlined the release of the iPhone GWENT app which releases later in fall 2019. In a question and answer session after the presentation, CD Projekt Red fielded some questions from the press. One question was asked about the future generation of consoles and whether Cyberpunk 2077 would be made available on these. Piotr Nielubowicz, CFO and Board Member of CD PROJEKT Capital Group explained that the current engine they are using has been “built from scratch” meaning it can be amended to fit future consoles, and they would be happy to do this whenever the next generation of consoles are announced. While we’ve already speculated on what other developers such as Bethesda will be bringing to this year’s conference, CD Projekt Red has one highly anticipated project which is Cyberpunk 2077. The action-RPG is set in a futuristic dystopian world, has yet to have a confirmed release window, with some predicting a launch of this year. However, CD Projekt Red have been fairly quiet about their release date, and have simply said in their previous highlight video “it’s still coming, when it’s ready”. The video also shared that the development is “far from over” leading us to believe there is still more work to be done on the game. Besides confirming that they will be attending E3, the developer has not given more details about the title except that it would not be an Epic Game Store exclusive. Whether they will be ready to share a release window come June is too early to tell, we’ll keep you posted with any Cyberpunk 2077 news. If you want to find out what we thought about Cyberpunk 2077 at last year’s E3 be sure to read next Cyberpunk 2077 Preview: When Fallout Meets Blade Runner. 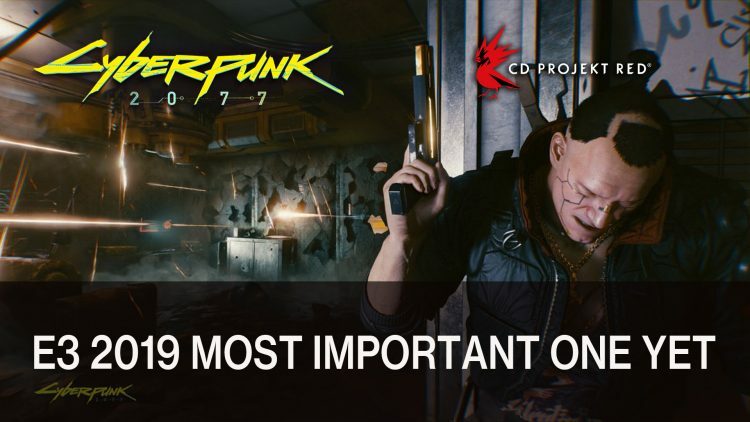 You can also check out more news in The Witcher 3 Game Director Moves To Design Director For Cyberpunk 2077, Cyberpunk 2077 Will Be At E3 2019 and Cyberpunk 2077 Progress Is “Far From Over” As Mentioned In Highlight Video. Because they finaly tell us the release date.